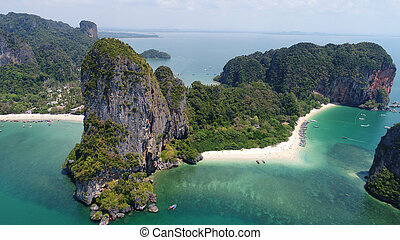 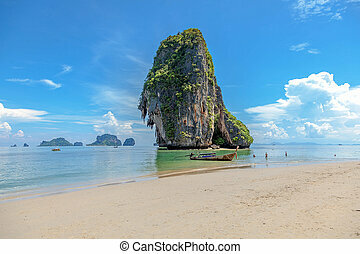 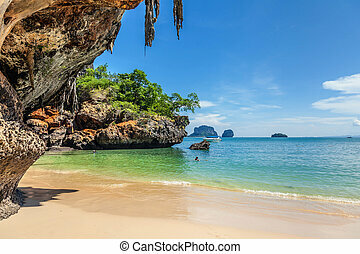 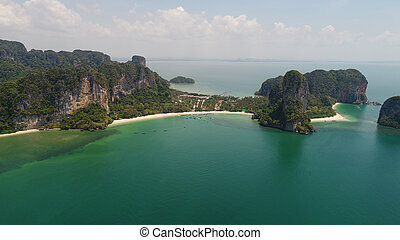 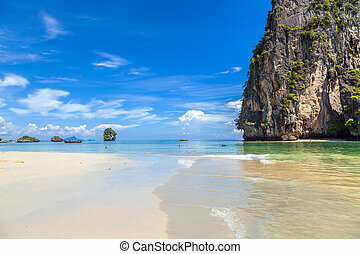 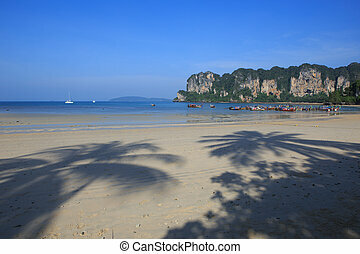 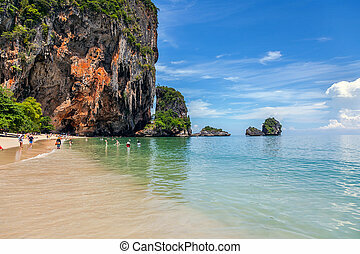 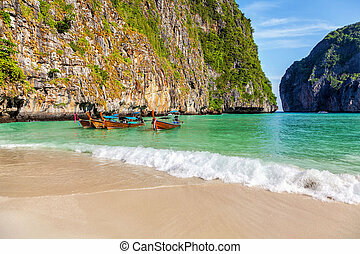 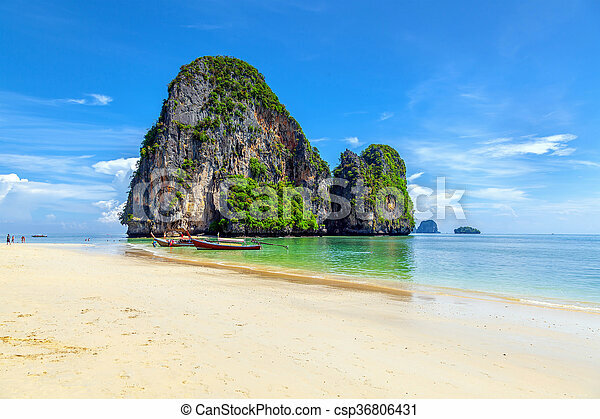 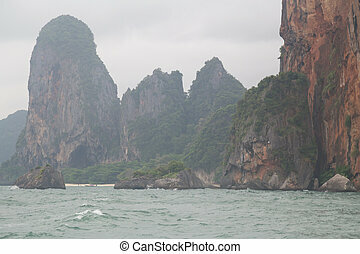 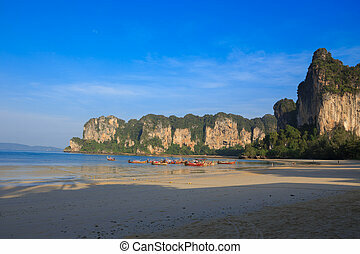 Famous railay beach in the thai province of krabi. 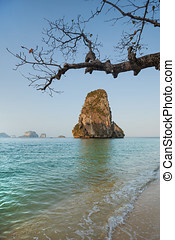 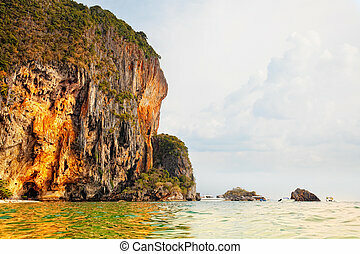 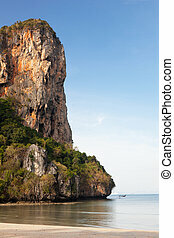 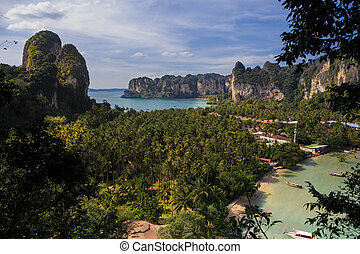 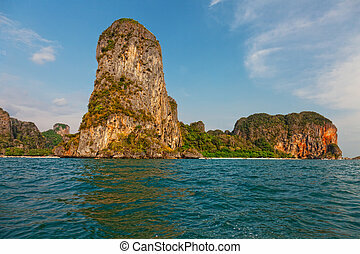 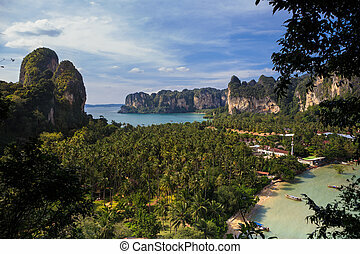 viewpoint of Railay Beach in Krabi province, Thailand. 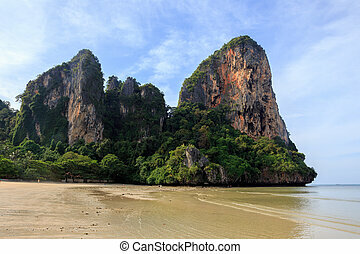 Railay Beach in Krabi province, Thailand. 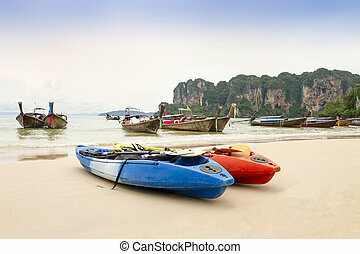 kayak and Traditional thai long tail boats on the Railay beach of Krabi province Thailand. 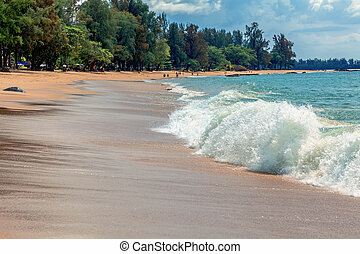 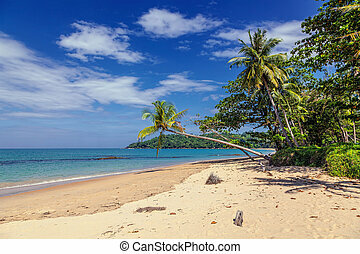 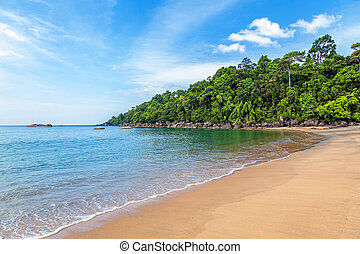 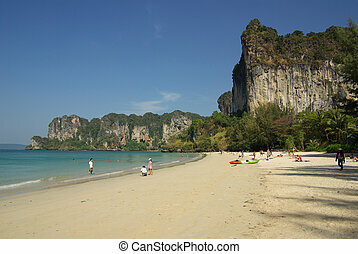 Famous Railey beach in the Thai province of Krabi. 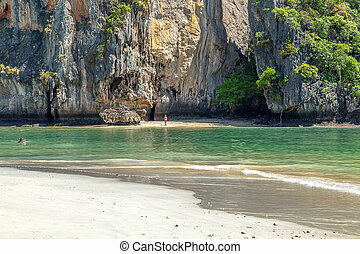 White sand and turquoise sea on the beach in Railay. 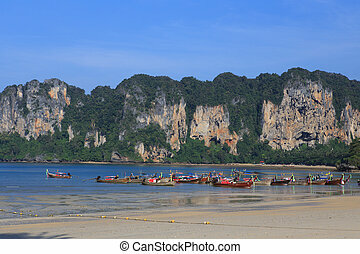 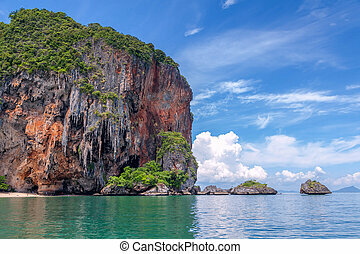 Thai Krabi province.